Old Black Lion in Northampton is a family friendly pub. The pub serves food, it has a function room that can be booked. 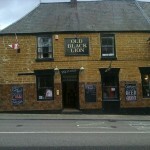 Old Black Lion has an outside area. The pub has a smoking area. Thomas A'Becket in Northampton has a beer garden. The pub has a car park, it has disabled facilities. Thomas A'Becket gives a warm welcome to dogs and their owners. The pub is a family friendly pub, it serves food. Thomas A'Becket serves real ale. The pub has a real fire, it has free WiFi. Thomas A'Becket has a dart board. The pub has a pool table, it shows football on TV. Thomas A'Becket has Sky Sports. The pub has terrestrial TV, it is a member of Cask Marque. Time to get out and have some fun! 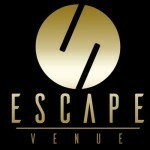 If you’re looking for a memorable evening out, Escape Venue is the place for you. Escape Venue is also available for hire to cater all events. 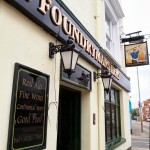 The Foundrymans Arms is a traditional pub serving in the heart of St James, Northampton. 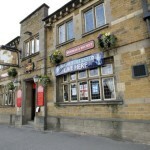 It’s a welcoming local pub serving home cooked hot and cold bar food, and a range of cask ale with a friendly atmosphere. 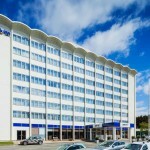 The Park Inn by Radisson in Northampton offers the town’s only full-service hotel experience. Boston Clipper in Northampton has disabled facilities. The pub has an outside area, it has a smoking area. Boston Clipper has DJ's. The pub has karaoke, it has live music events. Boston Clipper has a pool table. Sole & Eel in Northampton has DJ's. The pub has karaoke, it has live music events. Sole & Eel shows football on TV. The pub has terrestrial TV. Bear in Northampton has a car park. The pub has an outside area, it has a smoking area. Bear has free WiFi. The pub has a pool table, it has a big screen. Bear shows football on TV. The pub has terrestrial TV. O'Neills in Northampton has a beer garden. The pub has a car park, it serves food. 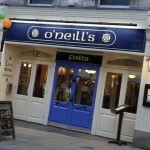 O'Neills serves real ale. The pub is a member of Cask Marque. 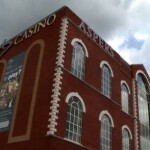 Aspers in Northampton serves food. The pub holds Poker Nights, it shows football on TV. Aspers has terrestrial TV. 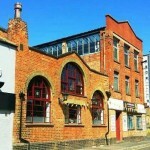 Black Bottom Club in Northampton has a function room that can be booked. The pub has a smoking area, it has DJ's. Black Bottom Club has karaoke. The pub has live music events. Albion Brewery Bar in Northampton serves food. The pub serves real ale, it has live music events. Albion Brewery Bar is a member of Cask Marque. Panache in Northampton has an outside area. The pub has a smoking area, it has free WiFi. Panache shows football on TV. The pub has terrestrial TV. 05/07/2013 Nice stylish place lots of great offers! Fat Cat Cafe Bar in Northampton has a beer garden. The pub has an outside area, it has live music events. Fat Cat Cafe Bar shows football on TV. The pub has terrestrial TV.